First published in 1966, and since translated into 16 languages, this remarkable book has become an essential document in architectural literature. 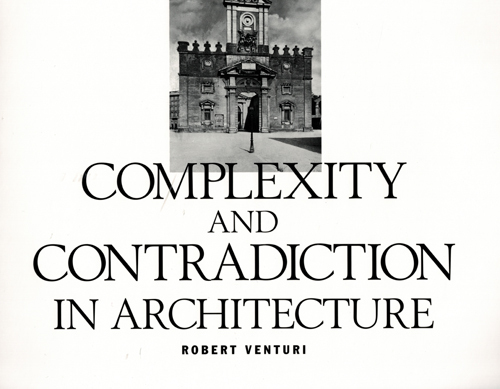 As Venturi's 'gentle manifesto for a nonstraightforward architecture,' Complexity and Contradiction in Architecture expresses in the most compelling and original terms the postmodern rebellion against the purism of modernism. Three hundred and fifty architectural photographs serve as historical comparisons and illuminate the author's ideas on creating and experiencing architecture. Complexity and Contradiction in Architecture was the winner of the Classic Book Award at the AIA's Seventh Annual International Architecture Book Awards.